The NBA may want to rethink its acronym and change it to the National Blunt Association. 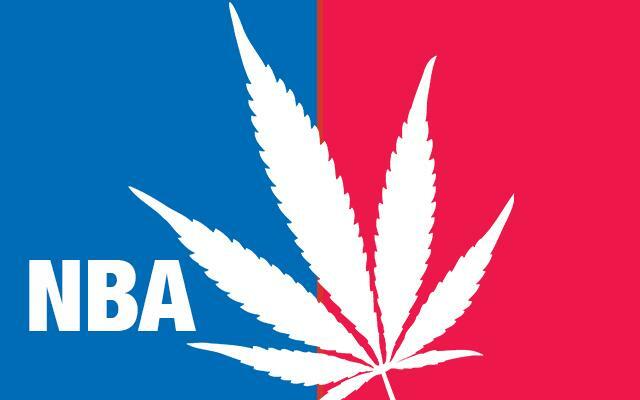 With all the current and former players being arrested and openly discussing marijuana use, the NBA has become synonymous with weed. The latest is former Portland Trailblazer Cliff Robinson, Known as Uncle Cliffy during his playing days, Robinson announced last week that he’s entering the marijuana business as Uncle Spliffy, starting his own grow operation in Portland, Oregon. This shouldn’t be much of a surprise as Robinson was a known “blazer,” having been suspended by the NBA two times for marijuana. Robinson has become an advocate for marijuana use and will be speaking at the 2016 Cannabis Collaborative Conference in Oregon—one of four states (and the District of Columbia) to legalize recreational use of marijuana—to discuss his new venture as well as wanting to “distill the stigma around cannabis, the misperception that athletes and cannabis are incompatible,” he told the Portland Business Journal. Over the past 20 years, former players are coming out to discuss the rumors about marijuana use off the court during their playing days. Back in 2001, former Raptor, Knick and Bull Charles Oakley told the New York Post he felt that more than half the league was smoking weed. “You got guys out there playing high every night,” Oakley said. Robinson’s speech comes less than two weeks before the NBA All-Star Game, featuring the world’s greatest high-flying athletes, though what makes them fly so high is in question. Here’s our list of the greatest tokers who played in the NBA. He’s done it all. The NBA’s all-time leading scorer, six-time league MVP, six championships, 19 consecutive all-star appearances and let’s not forget about that effortless hook shot. Abdul-Jabbar has been smoking weed for decades and now has a prescription for it to ward off migraines. He wasarrested in 2000 for suspicion of driving under the influence of marijuana. Known as “The Chief,” Parish played the most career games in the NBA, winning four championships, appearing in nine all-star games, and was a ferocious rebounder and shot blocker for the Boston Celtics. Parish had a brush with the law in 1993 when several ounces of bud (reports say anywhere from two to five) arrived at his Massachusetts home in a FedEx box addressed to him. In an interview with the Boston Globe, Parish admitted to smoking marijuana after games to relax, but said he stopped smoking in 1995. “But people don’t believe that,” he said. One of the greatest college basketball players of all time and an NBA Hall of Famer, Big Red never shied away from his weed use. During an ESPN broadcast of a college basketball game, the alpha Deadhead openly criticized the NCAA’s rules for punishing college players for smoking marijuana. Forget about what he did in the NBA (and please forget about those Starbury sneakers). Marbury left the United States to play in China and has been so dominant he now has his own museum! He wascaptured on video smoking a joint by TMZ in 2009, to which Marbury openly responded with, “I smoke marijuana … yep … you saw me.” It doesn’t get more transparent than that. Not to be confused with Jay Williams or Jayson Williams, the flashy former Kings guard might be most remembered for his elbow pass in the 2000 All-Star Rookie game. But, lest we forget, he was kicked off his college team for twice testing positive for marijuana and suspended five NBA games in 2000 for violating the league’s drug policy. As members of the Trailblazers in 2002, Wallace and Stoudamire drove from Seattle back to Portland after a game, skipping the team bus. They were pulled over in Stoudamire’s yellow Hummer with less than 40 grams of weed. Both players agreed to plea deals, but this was the first of four marijuana-related arrests over the next year, earning the new team moniker, “Jail Blazers.” You’d think all that smoking would mellow out Wallace. Instead he consistently lead the league in technical fouls. One of the finest ball handlers over the past 30 years, the former 76er was arrested for marijuana and firearms possession after being pulled over for speeding in 1997. He was suspended one game and ordered to undergo drug testing for two years. Admitted in his book to smoking weed in high school, but no connection to weed in the pros. Was caught with marijuana boarding a team plane in 2004, but it turned out the weed allegedly belonged to an out-of-town friend who apparently borrowed the backpack the week before. Only accused never convicted of marijuana use, but played with Jason Williams (See above). After being suspended for marijuana use in 2014, the Bucks forward came out in defense of his recreational activities, telling the Milwaukee Journal-Sentinel: “It’s something I feel strongly about… I believe in marijuana and the medical side of it. I know what it is if I’m going to use it.